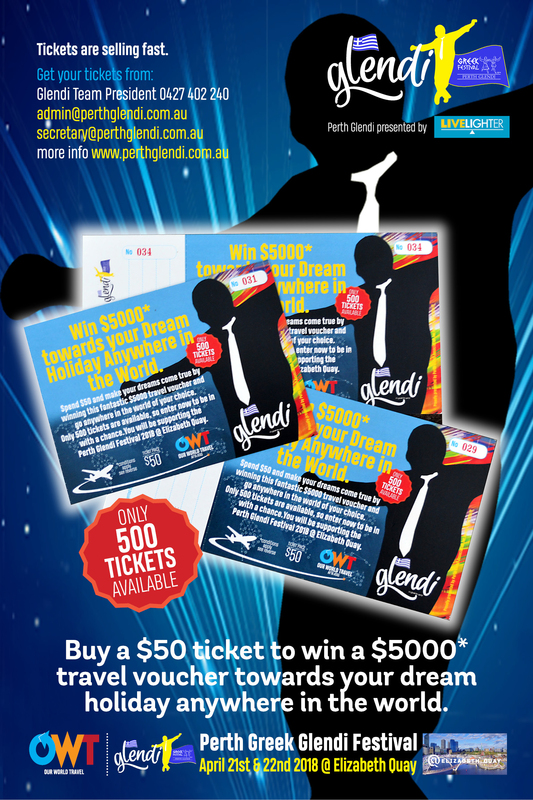 The Perth Glendi presented by Live Lighter are holding a fund raising raffle. This raffle is to help cover the costs of producing this fantastic event. Only 500 tickets are available at $50 each to win a travel voucher to the value of $5000. You can purchase a ticket from any team member or email admin@perthglendi.com.au.